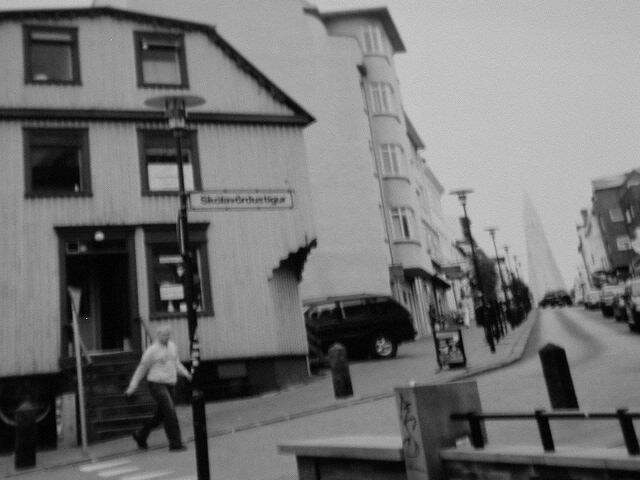 Like a rocket taking off, or a geysir erupting into the crystal-clear Icelandic sky, this church rises over the streets of Reykjavik. I would have to say that Iceland is one of the most wonderful places I have ever visited, and very photogenic. Unfortunately, my digital camera ran out of power just before I arrived, so I was forced to rely on a bundle of Japanese disposable cameras to capture the incredible scenery.